Is the UK’s ‘special relationship’ with the US doomed? How will Britain’s new government tackle ISIS? How could the SNP affect UK foreign policy? These will be among the questions tackled at a General Election 2015 panel debate hosted by the Centre of International Policy Studies (CIPS) at City University London, on Thursday 30th April. Leading academics from the Department of International Politics will explore some of the biggest issues that will face the new UK government after the vote on 7th May. As well as foreign policy, the relationship between politicians and the City of London’s financial and banking sectors will also be on the agenda, with Professor Ronen Palan leading the discussion. Dr Robert Davies, of Cass Business School, will discuss the UK's role in Europe and Professor Inderjeet Parmar, Head of the Department of International Politcs, will outline British political parties' approaches to UK foreign policy. 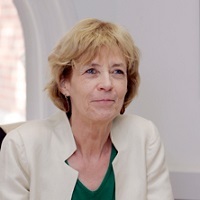 Also on the panel will be Professor Rosemary Hollis, who will explain the risk of "foreign policy confusion” within a coalition government, which would face the task of re-establishing the UK’s international standing. Speaking ahead of the discussion, she said: “On foreign policy, the challenge facing any new government after the election will be to restore British influence in all the key international bodies in which Britain has traditionally played an important role. Professor Hollis will describe Britain’s current European standing, exploring why the UK currently has “few friends” among EU member states following the Euro-sceptic line taken by the Conservatives. She explained foreign policy could take a “back seat” if Labour formed a government through deals with the SNP, as the nation would be absorbed by discussions about national unity, while nationalist parties in Northern Ireland and Wales could also pull focus onto domestic matters. Professor Hollis says US concern over the UK’s defence cuts could threaten the nations’ historically strong ties and believes a more modest international role could have implications for the UK’s permanent seat on the UN Security Council. “If a lesser role for Britain were to be combined with a UK withdrawal from the EU – which is of course the main demand of UKIP – then Britain’s capacity to ‘punch above its weight’ will be permanently reduced,” she said. Dr Amnon Aran will chair the panel. Completing the line-up will be Stuart Hooper, an International Politics Masters student at City who is standing as an independent candidate in the General Election, in the South Basildon and East Thurrock constituency. To sign up for the event, which starts at 6pm, and for more information, click here.